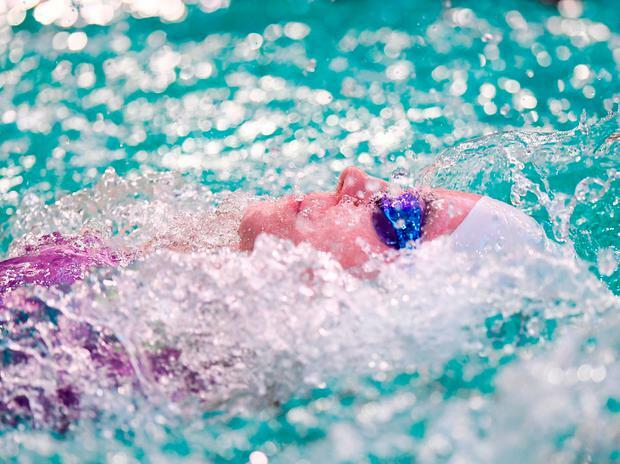 Team Ireland missed out on their first medal of the World Para Swimming European Championships in Dublin as Ellen Keane finished fourth, narrowly edged out after an exhilarating 100m backstroke race. Keane again progressed straight through to the final of this event which wouldn’t be one of her strongest and at the 50m mark she was left with a considerable distance to make up. Keane seemed to grow stronger as the race continued and she ate up the ground between herself and Toni Shaw from Great Britain. However, despite her late charge and a season’s best performance, she lost out by less than a second. Nicole Turner continued her promising championships as she again reached the final in the 100m backstroke S6, an event that is not amongst her strongest. Her time of 1:37:94 was a strong showing as she finished in seventh place in the final. She now has a break until tomorrow when she will compete in her favourite event, the 50m Butterfly S6. Jonathan McGrath got his championships under way and progressed through his heat to the final of the men’s 100m backstroke S8. His time of 1:18:64 was good enough for a strong fifth-place finish. Patrick Flanagan will also be pleased with his day’s work as he recorded a new personal best in the 100m backstroke final, his second personal best performance this week. Ailbhe Kelly also continued her positive week of performances as she reached the final in the 100m backstroke S8. Her time of 1:26:50 brought her a fifth-place finish. Barry McClements also competed in the heats of the men’s 100m backstroke but didn’t progress to the finals; however, his best events are ahead this weekend. Elsewhere, there was a European record from Germany’s Verena Schott who took over a second from the mark she set herself in June. France’s Didier Ugo also recorded a European record of 1:03:10, beating a long-standing record set by James Crisp 18 years ago in the 100m backstroke S9. It promises to be a busy few days in the pool for Irish athletes with Patrick Flanagan, Ellen Keane, Ailbhe Kelly, Jonathan McGrath, Seán O’Riordan and James Scully all competing in their respective heats.